Patti's sample dolls Our September hands-on activity was hosted by Patti LaValley. We made molded face felt dolls, and used one of Patti's patterns. The wool felt was coated with fabric stiffener and placed over a plastic doll mask until it dried. This challenge required us to made dolls using large plastic spools. next meeting. Judi Ward provided a body pattern for these dolls. In May, I hosted the hands-on activity, teaching my usual method of making doll faces. Everyone brought practice heads, and applied faces during the meeting. Our challenge was to make dolls using these heads. A doll club activity - making wizards from doll stands. Faces are make of clay. This is a good group project. Since our new meeting place is a quilt shop, this is our Four Fat Quarter Challenge. 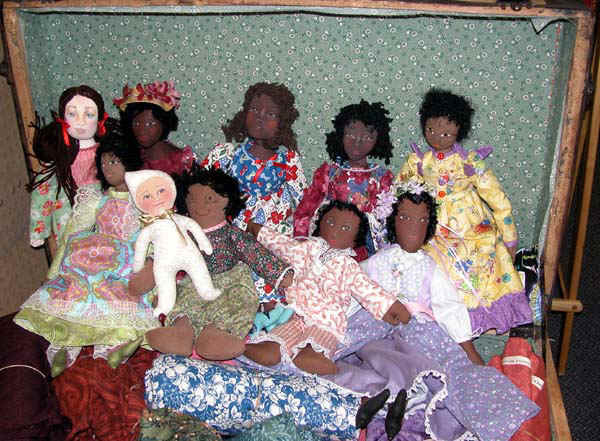 Members made dolls from four coordinating fat quarters. 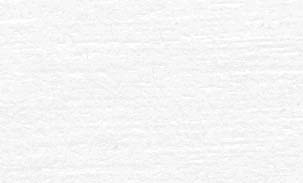 We start the new year with a challenge - one we haven't tried before: Black and White (with a dash of one color if desired).